Sheltered by the slopes of the Twelve Bens, this lakeside castle is a romantic, battlemented Gothic Revival fantasy. It was built as a present for his wife by Mitchell Henry (1826-1911), who was a Manchester tycoon and later Galway MP. The Henrys also purchased a huge area of moorland, drained the boggy hillside and planted thousands of trees as a windbreak for their new orchards and exotic walled gardens. After the sudden deaths of his wife and daughter, Henry left Kylemore and the castle was sold. It became an abbey when Benedictine nuns fleeing from Ypres in Belgium during World War I, sought refuge here. The nuns now run the abbey as a select girls’ boarding school. Visitors are restricted to the grounds, restaurant and craft shop where they can watch the abbey pottery being hand-decorated and fired. The cream earthenware pottery is painted with a fuchsia motif. In 1999 a 2.5 ha (6-acre) restored Victorian walled garden opened in the grounds of the abbey, featuring the longest double herbaceous borders in Ireland, a nuttery and a meandering stream-side walk. 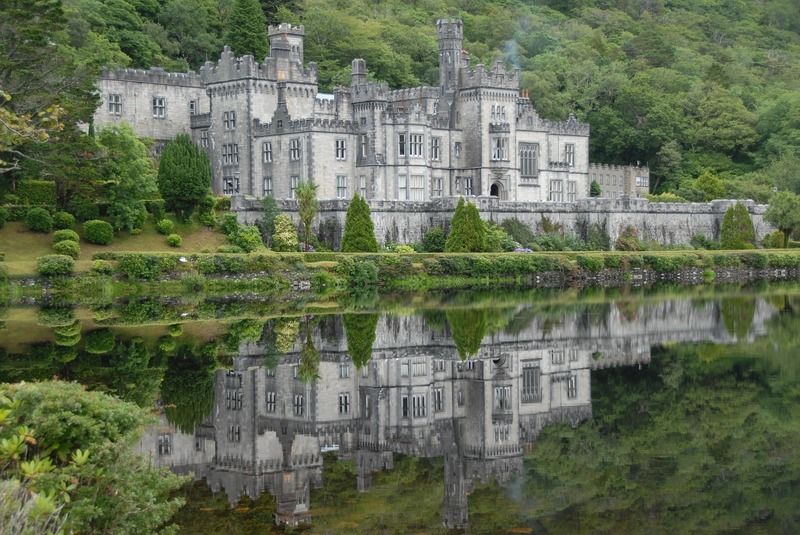 Kylemore Abbey is a must see attraction on your tours of Ireland.